My creativity has morphed through the years from sewing to cooking to gardening to photography to writing. Many of these things have overlapped with one another or been revisited after some time away from them. 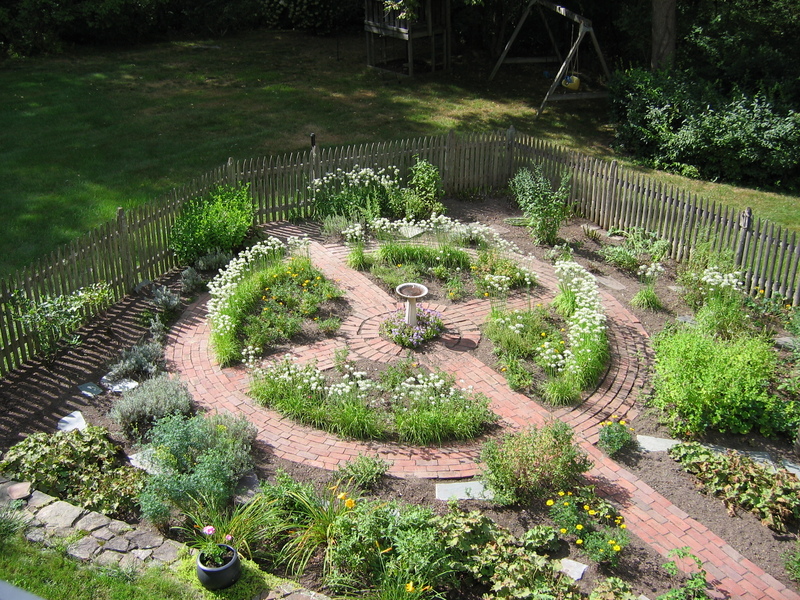 Much of the backyard of our family home in New England, was covered with a formal English herb garden that had been planned and planted by prior owners. I didn’t know a thing about gardening when I brought this garden back to life after so much neglect that none of it could be seen beneath a small meadow of wild grasses. The people who had planted it were long gone, back to England, and those who lived in the house in the intervening years didn’t tend the garden. For about ten years, the herb garden became my creative obsession – not just the tending of the garden itself, which filled many hours of the week, but making tinctures from the herbs or using them in my cooking, or drying them for house decorations or arranging their flowers in vases. I loved when late afternoon came on a summer day and, as I prepared dinner, I’d step out the back door to my garden and pick from it enhancements for my simple menu. 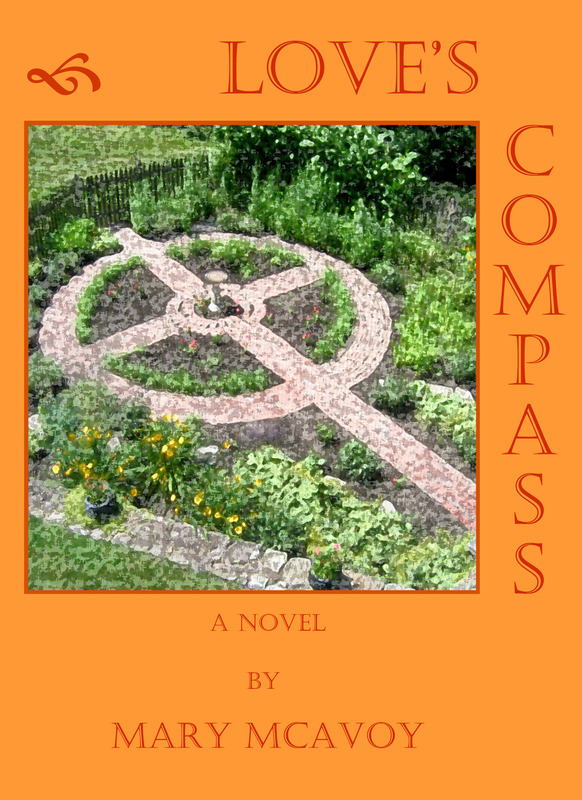 The brick pattern in the garden required more maintenance than the quadrants the brick created. Weeds were forever growing between the bricks and removing them was no small feat. I never used chemicals, as we ate from the garden. So, I’d get on my hands and knees and bit by bit weed all the brick work. I used a chisel-like tool that I’d wedge between two bricks, then rock them gently till the soil loosened and released the weeds to my tug. One time I took up all the brick, cleaned out all the roots of anything that grew in the brick pathways and then put the bricks snuggly back in place. I can tell you by looking at the photo above that it was taken late in the season. I know this because the lady’s mantle is browning and the blossoms of the garlic chive are blooming. And by the look of the brick (not a weed to be seen! ), I’m guessing I’d just put in a full day of weeding. The view of the garden is through the window of an upstairs bedroom, the same window I always used to get as much of the garden as I could into one frame of a photo. The garden was a labor of love that came to an abrupt end when I developed fibromyalgia and then moved from that home when I could no longer care for it. It was heartbreaking for me to leave the garden. But I still love to look at my photos of the garden and remember the feel of the warm sun or a cool rain as I worked, the scent of the earth and the scent that the plants released as I brushed against them (especially the lavender) while working, and the flavors of the fruits of my labor. What a beautiful garden, and an incredible amount of care gone into it. Thanks! It was truly a labor of love!